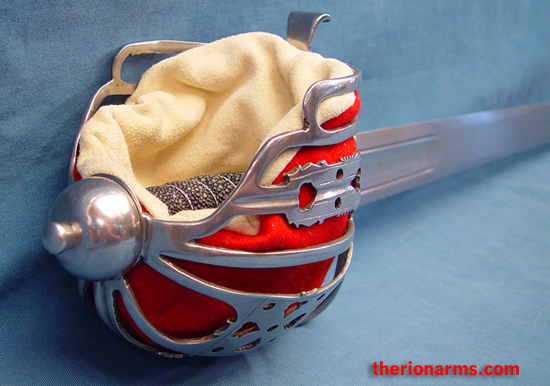 Baskethilted swords appeared throughout Britain from the mid-sixteenth century on, but they are most often associated with the seventeenth and eighteenth century Scottish highlander. 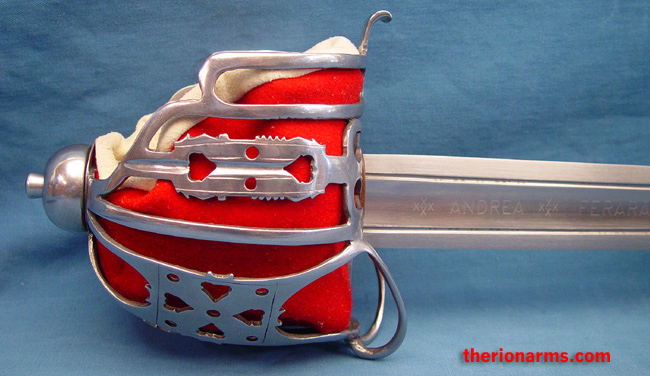 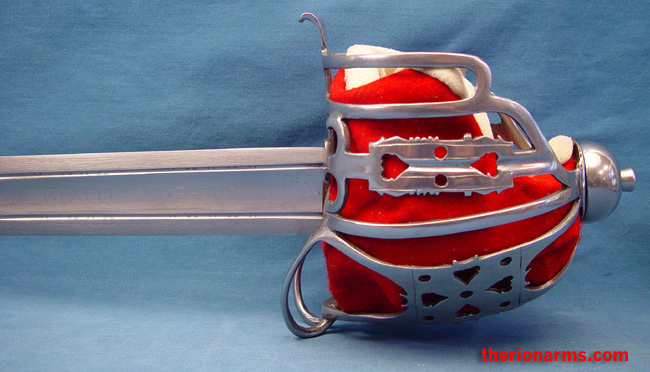 This reproduction of a Scottish baskethilted broadsword has a typical Glasgow style hilt from the mid-eighteenth century. 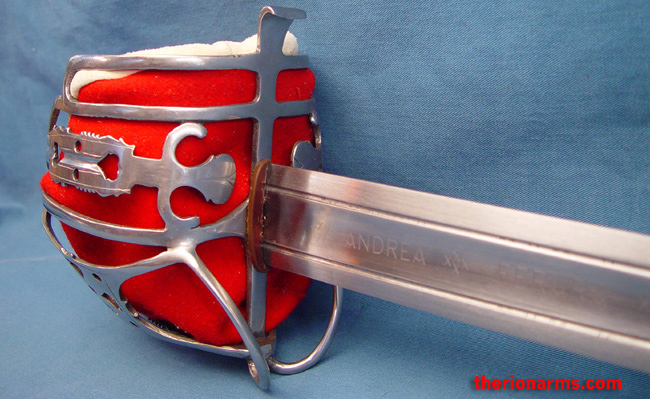 The sharp double-edged blade of this sword is fully tempered high-carbon steel with the legendary "Andrea Ferara" swordsmith's mark reproduced in the fullers. 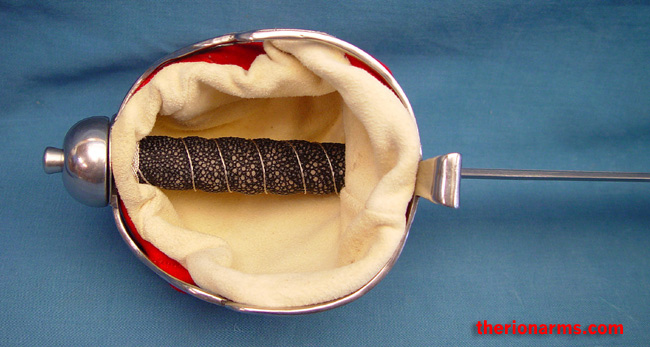 The grip is wire-wrapped rayskin and the basket liner is of felt-covered leather. 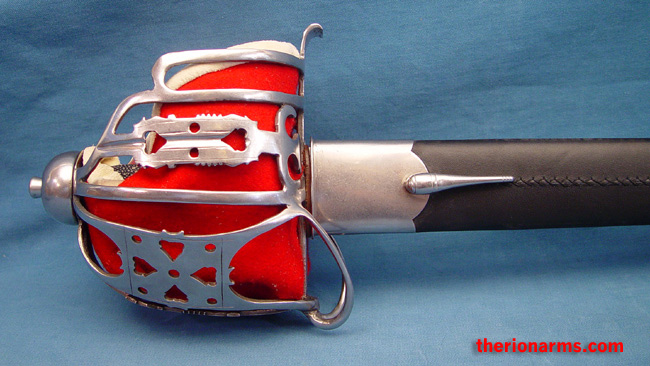 Includes a leather covered scabbard with steel fittings. 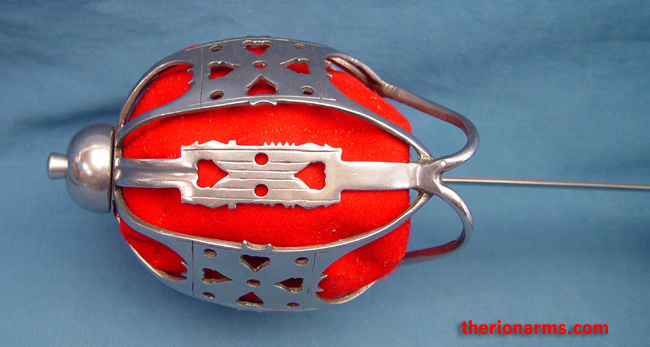 interior basket grip length: 4 1/2"